Here at 1AM we embrace the power that comes with making one’s mark in this world through creative means. For us, it is our First Amendment: the right of free speech, and we are passionate about exhibiting, teaching, painting, archiving, and sharing the street art and graffiti movement while inspiring the masses. In a new weekly blog post, we will be sharing impressive ways that street art and graffiti are changing the world. Art has always played a powerful role in history, and social movements have used its power in many ways. 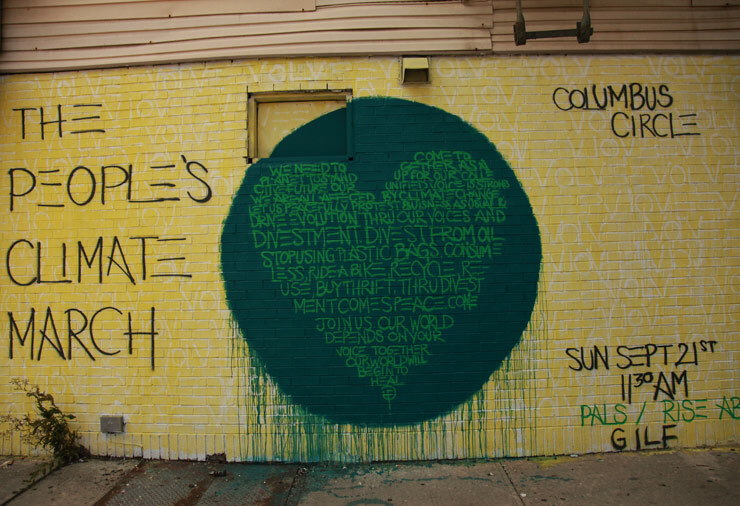 More recently, street art and graffiti have been playing particularly more prominent roles in current social and environmental justice movements. Street art and graffiti have served as a living archive, as a collective memory, as community representation, as building solidarity, in reclaiming public spaces, and in giving voice to the silenced. 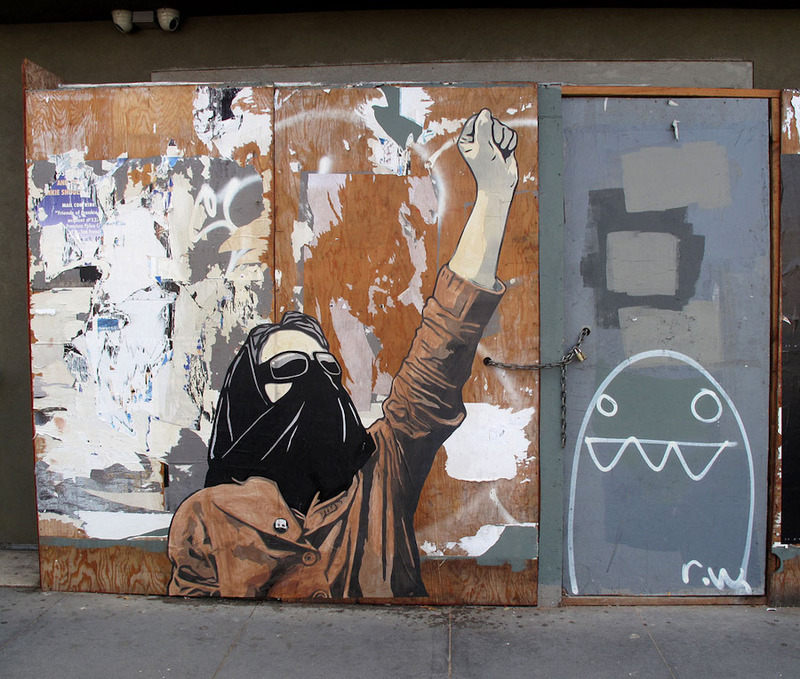 Thanks to modern technology and sharing capabilities, street art and graffiti have been increasingly well documented in recent movements like the current Climate Crisis protests in New York, Occupy, the Arab Spring, and in Ukraine, Greece, Palestine, and Syria. We can go back farther to the prolific use of graffiti and stenciling in the 2001 social movement in Argentina, and even farther back to the painting on the eastern side of the Berlin Wall before its destruction. Street art, graffiti, urban art, contemporary muralism – whatever handle you choose to identify with, we support these artistic forms of the freedom of speech. It means something! For those who create it, for those who see it, for those who question, and for those who care. Huge creations or tiny hidden works, legally or illegally produced, political or aesthetic, we encourage these acts of artistic creation in our shared public spaces. These artistic actions have the power to renew our world. These creations invite people to be outside more, searching, exploring, photographing, being curious, talking, questioning, engaging and sharing with each other. The street art movement is being considered to be one of the most important art movements in history. This is because of its engagement with more people around the world than ever before, and that this movement is not questioning the meaning, craft, or style of the art, but instead it is questioning the setting of the art. It has been taken from its traditional home of being indoors and only viewable by some to the outdoors and given to the people, for free. « Relay Rides takes 1AM by storm!